Bowood Farms abattoir company director William Woodward was given a 20 week prison sentence, suspended for 12 months and 250 hours unpaid work community order. Director William Woodward had earlier pleaded guilty to failing to prevent unnecessary suffering of animals. Mr Woodward was sentenced to 20 weeks imprisonment, suspended for 12 months, and given a 250 hours unpaid work community order. Mr Woodward was also disqualified under the Animal Welfare Act (AWA) from having influence or control over sheep along with £5000 court costs. 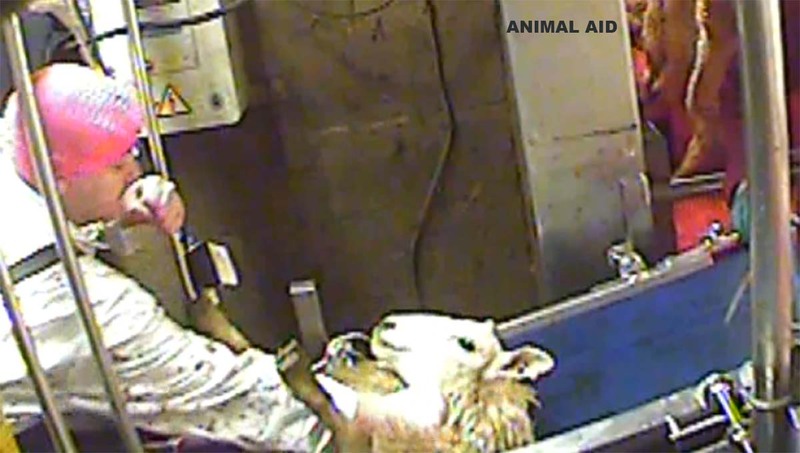 The prosecution said he had ‘simply turned a blind eye to the animals’ welfare at his slaughterhouse. Abattoir worker Artur Lewandowski was given a 150 hours unpaid work community order, as well as an indefinite disqualification order under the AWA for control over sheep. He was also ordered to pay £100 court costs. Fellow workers Kabeer Hussain and Kazam Hussein were given 16 weeks and 18 weeks (suspended for 12 Months) along with a 250 hours unpaid work community order; both were also disqualified under the AWA of control over sheep and were ordered to pay £500 court costs. Colin Sullivan, chief operating officer at the Food Standards Agency said: “The Animal Welfare Act puts clear rules in place as to how animals should be treated but these defendants chose to ignore the regulations, in the process inflicting unnecessary suffering on the animals.